users to move their email between different email providers. That did however assume that you already knew where you wanted to move to. The email hosting space is a jungle with a ton of players offering similar products pitched with confusing marketing lingo and vague payment terms. So how can can you possibly figure which is the best email provider for your exact needs? Who is the cheapest provider that supports IMAP and gives me 8GB in storage per user? 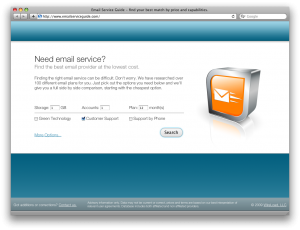 Where can I find email hosting powered by renewable energy? At this point, our database features over 100 different email plans from all of the leading email providers on the market. Email Service Guide enables you to not only find the best provider according to your needs, but it also allows you to compare the matches objectively side-by-side. 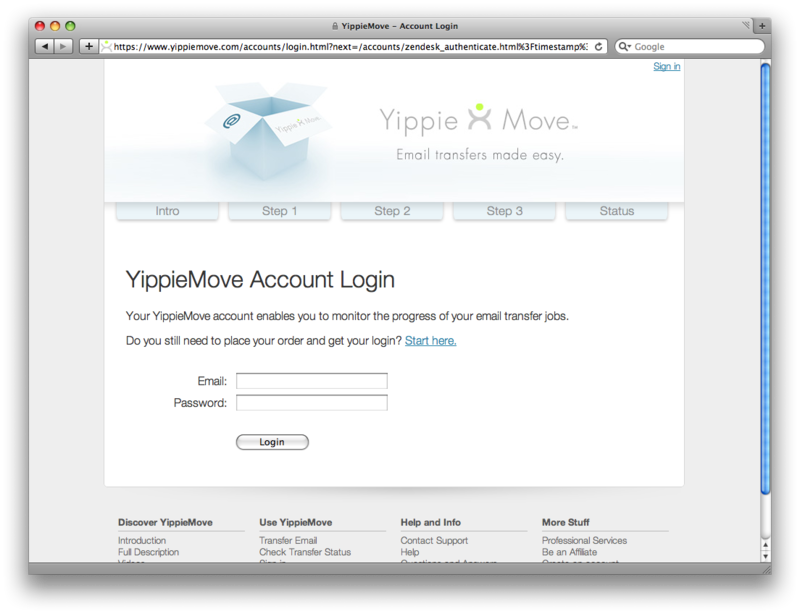 Remember that, once you have found the best email provider for you needs, don’t forget to use YippieMove to move your old emails with you. 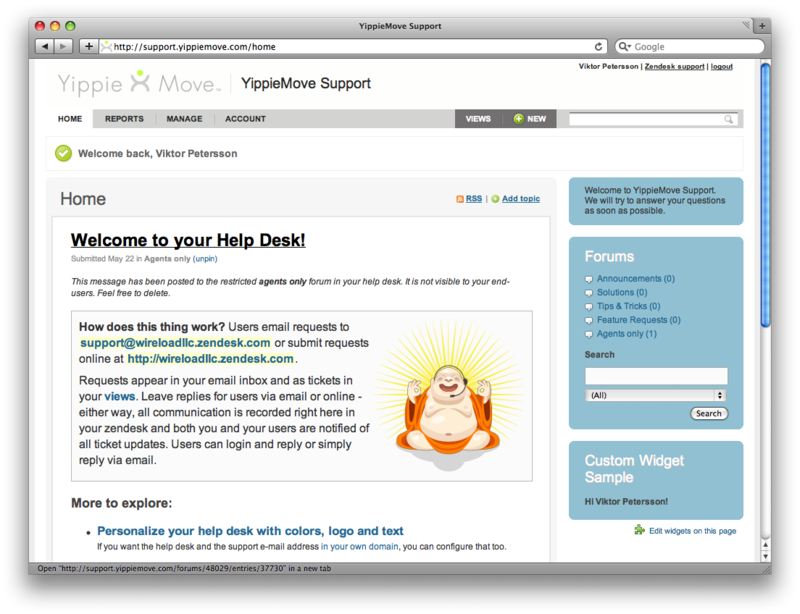 We have today added support in YippieMove for the popular groupware Scalix. We are proud to add Scalix to our long list of supported groupware, which includes other popular solutions, such as Google Apps, Microsoft Exchange and Zimbra. “Adding support for Scalix was pretty straight forward. It basically came down to filtering out a few unsupported IMAP flags,” says Alexander Ljungberg, head of YippieMove’s software development team. 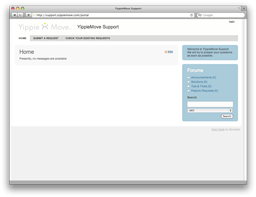 With Scalix added to the list of supported groupware, YippieMove now supports migrating emails between all major groupware. Combine that with our Batch Migration service and jumping from one groupware to another could not get easier. 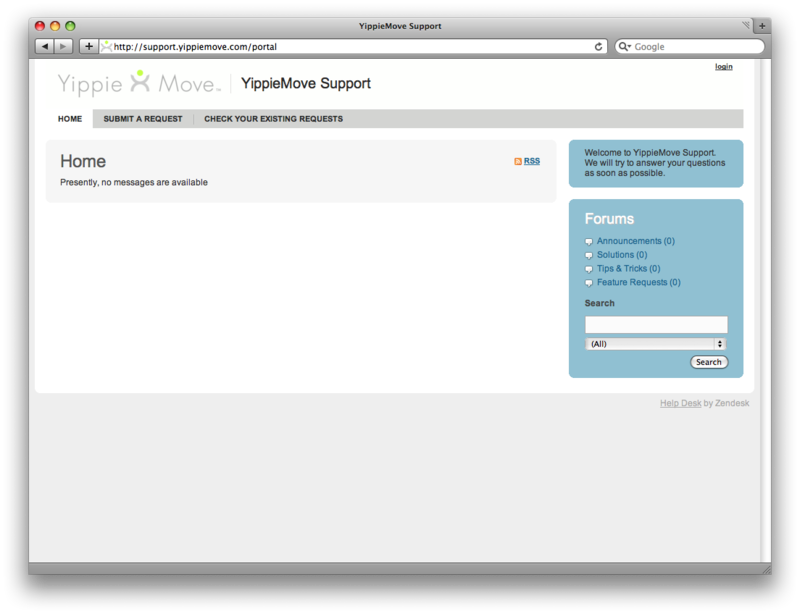 As YippieMove has grown a lot in the past few months, we’ve come to a point where simply sharing a mailbox among the Support Team just won’t cut it anymore. We needed retire the ‘shared mailbox’-approach for a more sophisticated and modern ticket management system. After spending numerous hours researching various open source support solutions, we realized that none of them were really up to for the challenge. Most of them felt very outdated and cumbersome (like OTRS). A few of them looked promising, but lacked the maturity to use in production. We reached the conclusion that we could not use any free tool, so we started looking into the next best thing — A modern SaaS Help Desk. 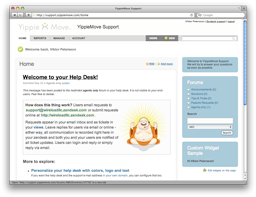 It did not take very long until we realized that there was one solution that fitted our needs better than all the other options, namely Zendesk. After signing up for a free trial, we were completely sold. The modern interface, the ability to integrate it into YippieMove with a sub-domain (support.yippiemove.com) and ability to customize the look and feel really impressed us. What made us even more impressed was how easy it was to integrate it into our existing system. It took us less than 6 hours to switch from our old system to have a production ready help desk that even features Single Sign-On (thanks to Jon Gales Django hack). Quite frankly, Zendesk exceeded our expectations. The only thing we could possibly complain about Zendesk is the pricing (it a bit steep) and the lack of SSL in the lower-tier plans.